Estonian LEADER 2014-2020 has officially started! Local action groups have started to implement their local development strategies. to start LEADER transnational co-operation projects. 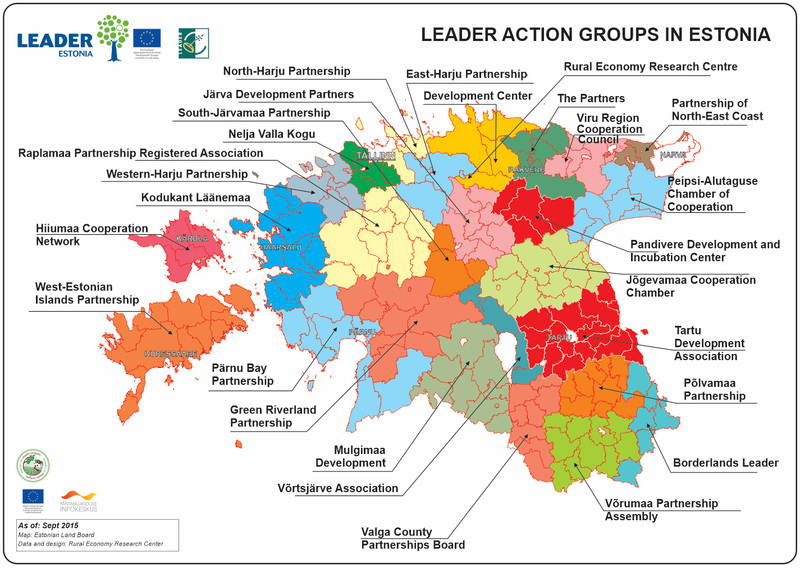 All Estonian LAGs and their local development strategies were selected in one phase. 26 local action groups will continue to operate in Estonia. Indeed there are some minor changes of municipal boundaries in some LAGs. Estonian LEADER will use only EAFRD funding, Fisheries LAGs will be operating separately. Cooperation projects and international cooperation projects can start in as soon as it is governed by a single regulation, and each LAG can decide for themselves when to start the project. Estonian Rural Development Plan 2007-2013 LEADER measure implemented 7,186 projects, and used LEADER budget of 85,759,063 euros, of which only 0.9% remained unused.